Abstract: Music therapy has a rich and proud history in Australia working with people across the lifespan and in a range of clinical settings, including special education. 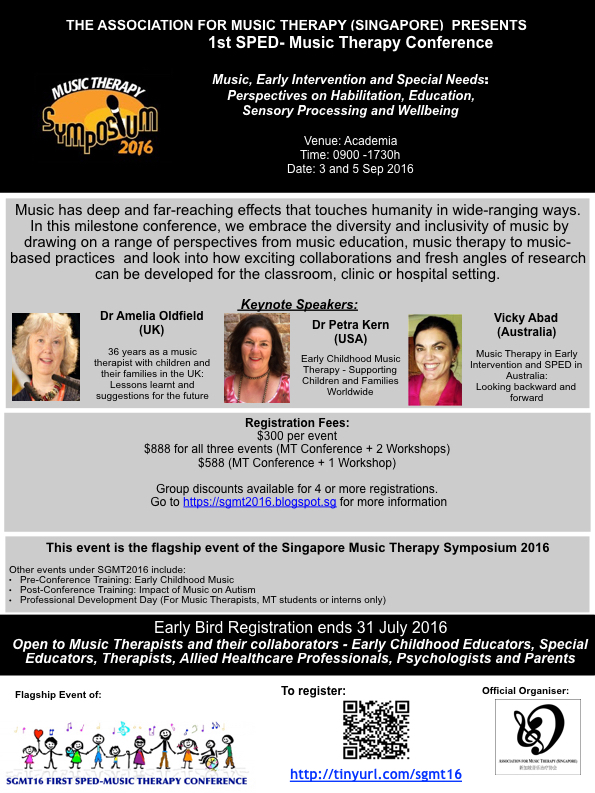 This paper will present overview of music therapy in Australia, including special education settings. The paper will then reflect the current day practice in Australia that has seen a broadening in focus from treatment for the child to prevention, intervention and treatment for families who have a range of needs including social and emotional needs as well as the more traditionally recognized educational needs. The current modern day parenting practice of enrolling children in formal music programs will also be explored and how this can be levered in a positive way to improve future family wellbeing will be explained. The role of the music therapist to support this process will be clearly defined.